Recovery firm Axion has urged the recycling industry to develop a plan to recover the 100,000 tonnes of polypropylene (PP) film put on the market annually in the UK. Research has shown that this packaging material is readily recyclable, and with this film mainly used in food packaging such as crisp packets, it is not currently collected in sufficient amounts and recycled. 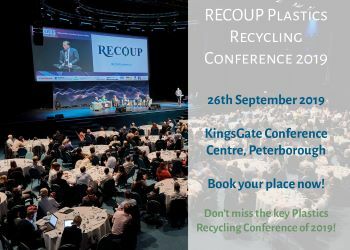 Axion’s head of circular economy Richard McKinlay said that studies have shown that this material could be recovered and used in a wide range of injection-moulding or extrusion applications, including non-food packaging, pipes transit packaging and automotive parts. The benefit of PP is the ability to change the flow characteristics and take it from a film to an injection-moulded rigid item, said the circular economy head. He added: “We do not have a suitable recycling structure for post-consumer household PE films and Europe has a surplus of low-grade films. The current trend to substitute PP for PE in small format primary packaging is not beneficial from a recycling viewpoint. PE is no easier to recycle, and the issue isn’t from the material but in the difficulty and collecting, separating and cleaning primary packaging formats. A solution could be to blend the small format household PE and PP films to create an injection-moulding or extrusion grade polymer, said the firm. It is currently involved in a WRAP project researching end markets for PE/PP blended material that could potentially go back into rigid applications. He added: “Many companies have signed up to the WRAP Plastic Pact that will create a circular economy for plastic. By 2025, the targets are 100% of packaging to be reusable, recyclable or compostable and 70% of plastic packaging effectively recycled or composted. If we are to hit those targets, we need not only a solution for film, but a solution for PP film.